In May 2019 I’ll be coming out of retirement for a series of performances across the Midwest with brilliant songwriter Walter Salas-Humara of The Silos! Check us out along the Twin Cities / Madison / Chicago corridor and places in-between! More info at the DATES page. 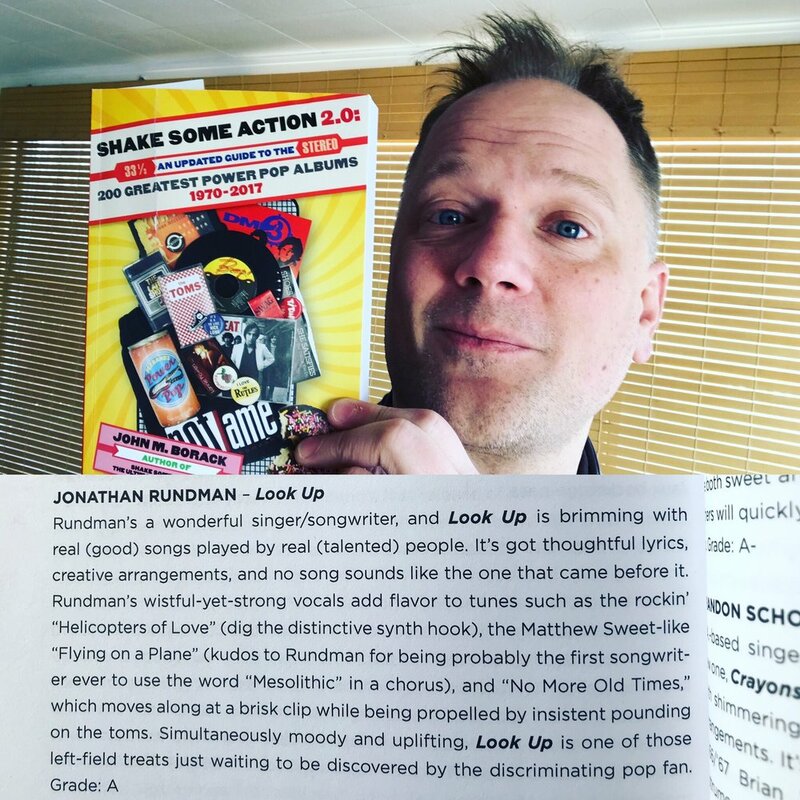 My 2015 album LOOK UP has gets an A-grade in the new power pop encyclopedia Shake Some Action 2.0. It’s an honor to be included in this book with some of my favorite artists such as Parthenon Huxley, Jason Falkner, and Matthew Sweet! I play keyboards on the song “She’s A Caveman” from the new Walter Salas-Humara album, and my teenaged son Paavo did the clay animation for the music video! The Pioneer Press newspaper here in the Twin Cities felt like my career evolution was newsworthy... and I had no idea they were going to write about it! Check out this feature article online HERE. One of the highlights of this past year has been touring with brilliant songwriter Walter Salas-Humara as he's been road-testing and recording his new songs. His new album WALTERIO was released on August 10th, 2018, and I was thrilled to be invited to sing and play on it. Below are some previews of the album, found on YouTube. One of my favorites on Walter’s new album is “She’s A Caveman.” Here we are, back in May, performing it at the Old Town School of Folk Music in Chicago. Check out Walter’s new song “Will You Be Ready.” I co-wrote this one, and that’s me contributing acoustic guitar, harmonica, and harmony vocals. My wife Dr. 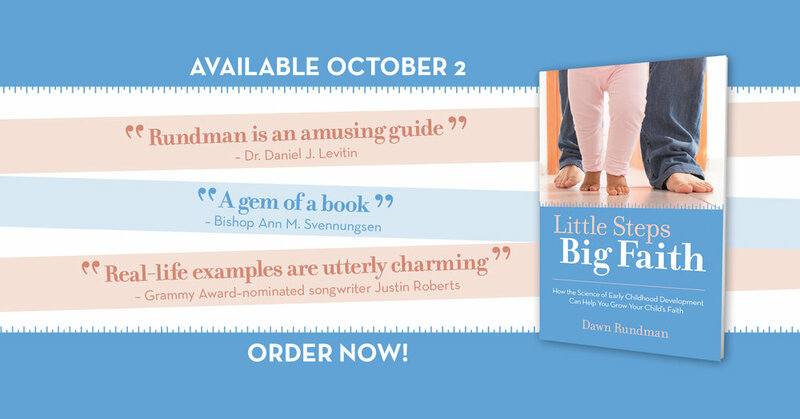 Dawn Rundman has released her new book! Order HERE. I’m excited to announce the surprise release of this new 16-song digital album LIVE MUSIC, a collection of concert performances from 1999-2018. On my most recent tour I received multiple requests for live recordings. When I returned, I looked through my archives and found some interesting audio files from concerts, many of which have never been previously released to the public. LIVE MUSIC features some of my most well-known compositions (“Librarian,” “Forgiveness Waltz,” and “Norman Borlaug Polka”); performances from notable venues like The Old Town School Of Folk Music, the Iowa State Capitol Building, and the Cornerstone Festival; and selections from my tours with Beki Hemingway, Arto Järvelä, and Walter Salas-Humara. The album is available for FREE at my BandCamp page, or you could pay what you want. Thanks to everyone who requested these recordings! I'll be performing at the ELCA Youth Gathering in Houston! May 2018 marks the 20th anniversary of The Muckrakers album release... a trio project I recorded with fellow Ishpeming natives David Casimir and Todd Berg back in 1998. 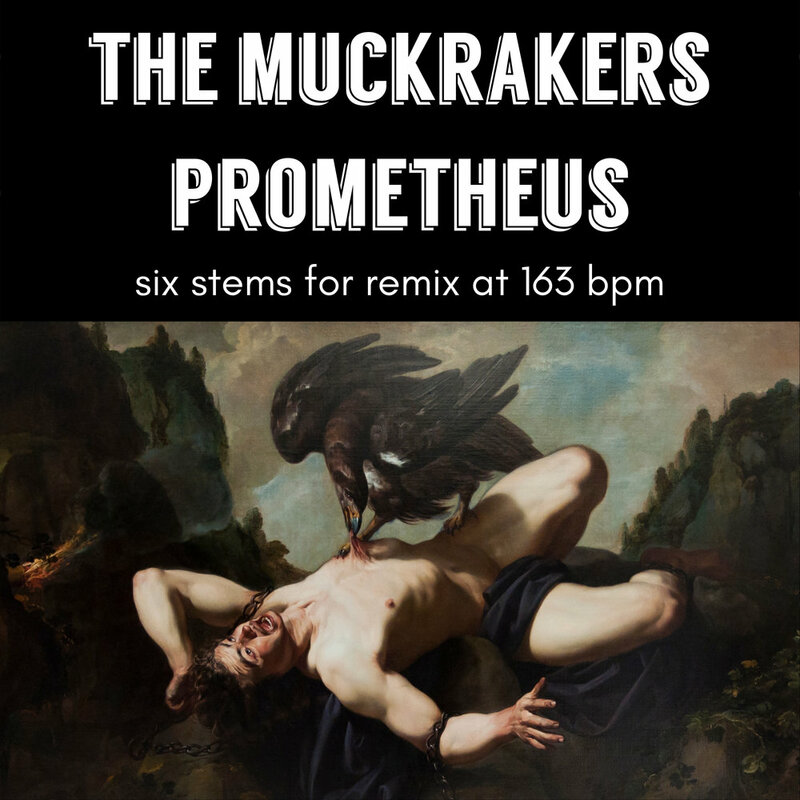 To commemorate the anniversary, I have posted the original six instrumental tracks for our song "Prometheus" and I'm making them available to the public for remixing. Just visit my Soundcloud page, download the six WAV files, import them into your audio editing program at 163 bpm, and remix away! Then, when you're done, send me a WAV of your remix and I'll post it for free download at The Muckrakers Bandcamp page https://jonathanrundman.bandcamp.com/album/the-muckrakers and I'll promote you across social media! The first remix of "Prometheus" has been submitted! Big thanks to Richard Bruxvoort Colligan for this Relentless Strawberry Remix, now downloadable for FREE (or pay what you want) at this BandCamp link! This Spring I'm looking forward to a lot of cool gigs across the Midwest! In April I'll be touring solo, and in May I'll be accompanying the brilliant Walter Salas-Humara of The Silos. Visit my dates page for specific venue info, and I'll see you on the road! 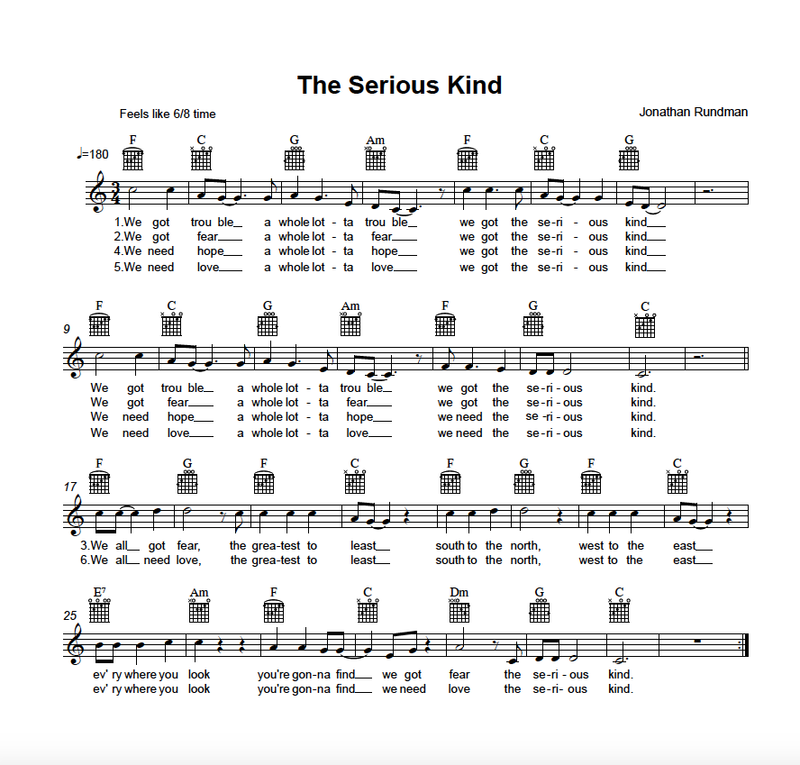 15 years of "The Serious Kind"
Back in 2003 I released a new song "The Serious Kind." Since then the song has developed a life of its own, and I've continued to perform it at nearly every concert. In celebration of the song's anniversary I'm making the sheet music available as a free downloadable PDF. I encourage you to play the song yourself, with your band, or for your community! ALSO: In commemoration of the song's debut, I'm putting my 2003 compilation album EXTRA CREDIT on sale for only $5, featuring the original studio recording of "The Serious Kind." Order the CD from my BandCamp page. As "The Serious Kind" has its 15th anniversary, here's a video of the song, performed only a few days ago at my concert in Edina, MN. A few weeks ago I had a chance to perform with songwriter Bob Walkenhorst of The Rainmakers, one of my all-time favorite bands! Here's a video from a house concert here in Minnesota where I joined Bob on the song "Downstream." I'll be playing a show with Bob in May 2018 in Kansas City... details to come! I'll be artist-in-residence at Heikinpäivä! December 6th, 2017, is the 100th Anniversary of Finnish Independence. 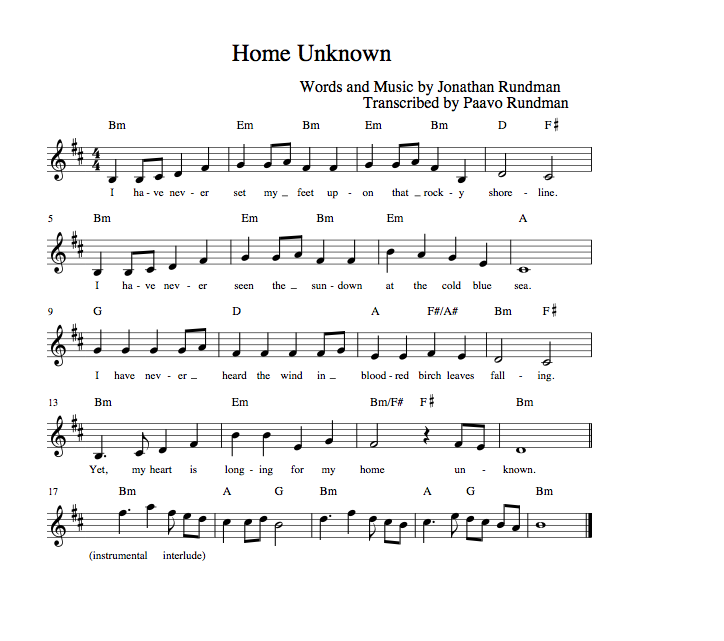 My song "Home Unknown," written from the perspective of a Finnish-American, will be sung at the Anniversary Commemoration ceremony in Upper Michigan. CLICK HERE for the sheet music and learn to play the song! Audio downloadable here from the RESERVOIR album. My first album is 25! Yes, exactly a quarter century ago I recorded and released my debut album 28 DAYS IN THE YELLOW ROOM. In celebration I'm providing the last few copies of the original CASSETTE TAPE pressing for $5, as well as the 2003 limited-edition CD reissue for $5. ORDER HERE at my BandCamp page. Such a pleasure to tour the Midwest this month with Walter Salas-Humara of The Silos! Jonathan Rundman (Edina, Minn) is a third generation ELCA musician who plays music for ELCA congregations and events. In his story he shares performances from a variety of locations while telling his story of how, since the age of 16, he has enjoyed performing music and helped to uphold the Lutheran music traditions established by Martin Luther. Big thanks to MR. GEE for a very thoughtful and well informed interview. Check out our podcast discussion HERE or eventually when the episode posts on iTunes. Whoa, I had a BLAST playing in Germany at the Luther500 Festival in June! Danke Schön to all! I'm playing a gig with Justin Roberts! I'm pleased to release a new 22-song retrospective album called Reservoir, in celebration of my 25th anniversary as a recording artist! I'll be playing an album-release show at my favorite venue, the Cedar Cultural Center in Minneapolis, on THURSDAY, JUNE 29th, at 7PM. I'm opening for Cincinnati-based Americana band The Tillers. $12 in advance / $15 on the day of the show. I'm very excited to have contributed to the new acoustic album Work: Part Two by songwriter extraordinaire Walter Salas-Humara! Hear me sing harmony and play piano, accordion, and harmonium throughout the album, DOWNLOADABLE HERE. I've added a series of new videos at my YouTube channel, featuring performances recorded on tour with Beki Hemingway last year! Back in 2011 I wrote a fiddle tune in Borlaug's honor, and in 2013 was invited to perform it at the Iowa State Capital Building, broadcast live on Iowa Public Television. Now, for the first time, there is sheet music available for the tune. CLICK on the image of the sheet music for a free PDF. And, you may download the studio version of the song HERE for free at BandCamp, or pay what you want. Come see me on tour this Winter! I was very pleased to contribute some keyboard tracks to the new recording by the Minnesota Americana band Pleasure Horse. Check out this cool song "Charley" featuring me on Hammond Organ. I love to do recording sessions, in the studio, or remotely by sharing audio files online. You can hire me to play on your next recording project...CLICK HERE for some information on my work as a session musician. Congrats to Pleasure Horse on the release of their EP! Big thanks to everybody in Finland for welcoming me during my #JonathanSuomeen tour! Here's a video of my performance at the Loimaa Art Museum, featuring Arto Järvelä! BIG NEWS: In October I'll be performing at the LOST IN MUSIC festival in Tampere, Finland! There are other Finnish dates developing, too ...visit my DATES page to check out my plans for touring in my ancestral homeland! Psyched to be heading out on tour with Walter Salas-Humara. I'm very excited to announce this show: On THURSDAY, JUNE 9th, 2016 I'll be performing with my band at The Cedar Cultural Center in Minneapolis! It's my first hometown concert in a year, and my first time since 2013 to play at The Cedar, one of the best venues in the country. CLICK HERE for advance tickets and show details. My band and I will play at 8PM. It's ALL AGES, so please bring the family! In the year 2008 I released the album INSOMNIACCOMPLISHMENTS. I was home with a baby and a preschooler at the time, and so I did not promote or tour in support of the record. Eventually it fell out of print and became my "lost album." Now, eight years later, I thought I should give it another chance at life. The album has been reissued as a special hand-numbered limited edition CD, with a brand new design and photographs from the original album sessions. Order now for $15! One of my all-time favorite songwriters WALTER SALAS-HUMARA of THE SILOS has released a new solo album, Explodes & Disappears. I'm thrilled to have co-written the first song on the album "Diner By The Train," and I sing harmony and play keyboards throughout the album as well! It's been a dream of mine to have my solo albums released in my ancestral homeland of Finland. Therefore, I'm THRILLED to announce that my new album LOOK UP is now available there! Check out the hashtag #JonathanSuomeen to follow the album's Finnish campaign across social media platforms. CLICK HERE to see the FINNISH LANGUAGE page and press release detailing my debut album launch in Finland. Johanna at Hurja Media is helping me introduce my music to 5 million people across the ocean who have never heard of me before! The LOOK UP album went on sale at Digelius Music in Helsinki on February 19th! In celebration of the album's release in Finland, I've released a new video for the song "The Ballad of Nikolaus Rungius" which premiered on PasteMagazine.com this month! A few years ago when I was playing Nordic folk music I wrote some fiddle tunes that were rarely (and sometimes never) performed. Thanks to the magic of Noteflight software, I'm now able to share sheet music and audio references with anyone who might want to play the tunes, experiment with arrangements, etc! Click on the image below to access a PDF file of the sheet music for my previously unheard tune "Stethoscope," AND for the tune "Rynkö" from the Kaivama album. 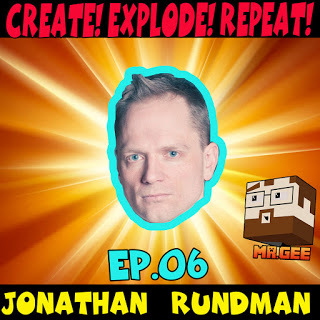 If you learn tune and create a cool arrangement for it, email me rundman@gmail.com and let me know! Have fun! This month's Western States tour was amazing. Special thanks to WALTER SALAS-HUMARA for having me in the band for the Hardly Strictly Bluegrass Festival in San Francisco! I'm also appearing and co-writing a song on Walter's forthcoming new album...CLICK HERE to support his Pledgemusic.com campaign to fund the record. I'm just out the door for a two-week tour to Colorado and California! If you want to check out what I've been up to for the past month, visit my YouTube Channel where you can see some brand new videos of recent performances. Below you'll see a rare solo performance of "The Ballad of Nikolaus Rungius" recorded at the Porcupine Mountains Music Festival, AND you can also check out clips from my house concert with Bob Walkenhorst of The Rainmakers. I had a blast last month playing shows across Minnesota with Walter Salas-Humara! On the afternoon of our show in Duluth I stopped by KUMD radio to perform on their Live from Studio A series. The audio is archived at the KUMD website...stream the audio HERE. Host Christine Dean asked some excellent questions and I performed "Helicopters of Love," "Home Unknown," and "The Serious Kind." ALSO: check out this review of my LOOK UP album in the Duluth News Tribune newspaper! I'm really excited to get back on the road in May, after spending the past couple months laying low in Minneapolis. I'll be zipping across Michigan, flying out to the Pacific Northwest and coming back to the Midwest in June to play my official hometown release show for my new LOOK UP album! Visit my TOUR DATES page for complete venue information. introducing the CREATIVITY DRILL PODCAST! I'm very exited to announce the launch of my first-ever adventure in podcasting! 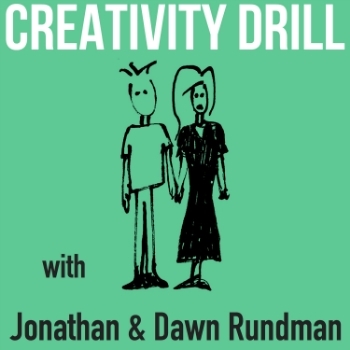 CREATIVITY DRILL is hosted by me along with my brilliant wife Dr. Dawn Rundman. Together we visit with an amazing series of artists, musicians, authors, designers, performers, and creative explorers. You can listen and subscribe to the show via the iTunes store. Just import the episodes into your smartphone and take us along with you on your morning commute, on the treadmill at the gym, or on your next road trip or plane ride! Podcasts are also very good for listening while washing dishes or raking leaves. THE LOOK UP ALBUM IS RELEASED! After a year of recording, crowdfunding, preparing, and road-testing, I'm thrilled to officially release my new record! or, even better, direct from my own online store. If you'd rather mail-order the old fashioned way and pay by check, CLICK HERE and print the order form. Thanks to so many of you who have been encouraging me along the way. I have poured my heart and soul into these songs, and I want to be part of the soundtrack to your 2015! Here's a the official music video for "Prioritize Us," the first song from the LOOK UP album! Check out these interviews in the Chicago Sun-Times and The Mining Journal in anticipation of the new album's release! Later this month I'll be performing a series of concerts across the North woods...check my DATES page for complete details. Thanks to everybody who came out to hear Walter and me on our Midwest tour! It was great to see you all. Special thanks to our fine hosts, and our collaborating musical friends! MORE VIDEOS AT YOUTUBE! Last month I played a plethora of shows across the Midwest, including a series of gigs with my great friend and long-time collaborator, percussionist Lowell Michelson. Here we are doing an unplugged version of "Rynkô," a tune from the debut Kaivama album. Also, CLICK HERE for a video from the Folk Alliance Region Midwest conference, where I got to sing and play with Trish Bruxvoort Colligan. I was the producer for Chris Steubing's debut album of Lutheran-songwriter rock. I'll also join Chris and band for the album's release show on Saturday, November 15, 2014. Matt Arthur & The Bratlanders are celebrating the vinyl release of their debut album. I played harmonium and piano on this great recording, and I'm thrilled to appear on vinyl for the first time! One of my most-influential songwriters Jeff Krebs has released a new album of kids' music as Papa Crow. I contributed harmonium to this excellent album of Yooper-centric nature songs. In 2004 Beki Hemingway and I recorded and released our Americana duet album Tennesota! This month we're celebrating the album's 10 year anniversary. We have only 20 copies of the CD left, and we're making them available now in a special $15 bundle: a signed copy of Tennesota, a Salt Lady Records Extra Credit sampler CD featuring rare Beki & Jonathan songs, AND a download card for the out-of-print Beki & Jonathan Christmas EP Present. Click here to order! So that you can more conveniently find out when I'll be playing in your neighborhood, I'm trying a new online platform for my tour dates. Check out my bandsintown.com page...there you can click the "Track This Artist" box for updates when I'm in your area, share specific shows across social media, RSVP, buy tickets, and more. Some fun behind-the-scenes photos (including this one of my harmonium load-in!) are featured in a recent article in the Wisconsin State Journal. Back in June during Walter Salas-Humara's Midwest tour, our Madison show was covered by a reporter who was profiling the awesome venue Kiki's House of Righteous Music. Last Fall I had the amazing opportunity to perform live on NPR's Mountain Stage radio show. Joining me were the brilliant Jake Armerding on fiddle/mandolin and Matt Patrick on electric guitar. Performing on the same show were favorites of mine songwriter Jill Sobule and Midwestern rock legends the BoDeans, complete with Kenny Aronoff on drums. Incredible! This month, in the week after July 18th, NPR will be re-broadcasting the episode! Check your local Public Radio listings, and tune in to hear me sing the folk song "Stagger Lee" with fellow Finnish-American Minnesotan guitarist Erik Koskinen, Kurt from the BoDeans, and Kenny playing drums...a highlight of my career! Last month I spent a very fun week on tour playing keyboards with Walter Salas-Humara! Check out our appearance live on WGN-TV in Chicago! We're playing Walter's new pop gem "Like A Satellite," complete with satellite hats. Other new videos appear at my YouTube channel. I'm super psyched to be the guest keyboardist for Walter Salas-Humara on his solo Midwest tour this week. Walter is one of my all-time favorite songwriters (you may know him from his band The Silos), and he's also the producer of my 2004 album Public Library.